To Our Friends Who Care About the Kansas City Public School District Why is the Kansas City Area Education Research Consortium (KC-AERC) good news for our region? Write-in candidates are announcing campaigns to become members of the KCPS school board. 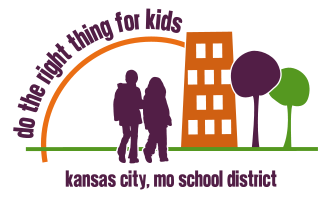 Do the Right Thing For Kids again refers you to the editorial in the February 25, 2012 issue of The Kansas City Star [“Break with the past and restructure the school board“] which endorses a new system of governance made possible by state legislation to form a panel to appoint members of a smaller school board. The proposed panel would be the mayor of Kansas City, the chancellor of the Metropolitan Community College and the dean of the University of Missouri-Kansas City School of Education. While most of the write-in candidates have demonstrated interest in community issues, their caliber of experience does not appear to be consistently equal to the magnitude of the task at hand: providing strong and experienced leadership to a school district desperately in need of radical improvement. Write-in candidates would have the power to represent the community on the basis of only a few votes. The children of our community deserve schools that capably serve all of the residents of its geographical area. That requires a new perspective in leadership. The individuals seeking election as write-in candidates will have other opportunities to serve the children of the district. The children will not have another opportunity to get a decent education.